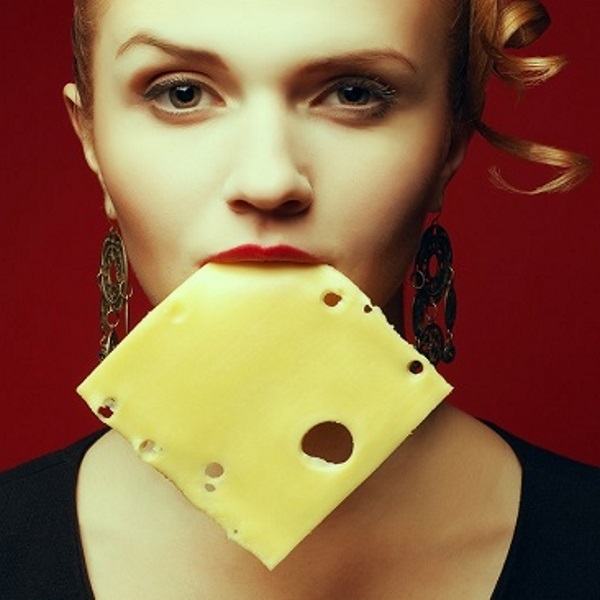 Since the 1950s, people have believed that saturated fat is bad for human health. This was originally based on observational studies showing that countries that consumed a lot of saturated fat had higher rates of deaths from heart disease. The diet-heart hypothesis states that saturated fat raises LDL cholesterol in the blood, which then supposedly lodges in the arteries and causes heart disease. Even though this hypothesis has never been proven, most official dietary guidelines are based on it (1). Interestingly, numerous recent studies have found no link between saturated fat consumption and heart disease. This article reviews 5 of the largest, most comprehensive and most recent studies on this issue. Hooper L, et al. Reduction in saturated fat intake for cardiovascular disease. Cochrane Database Systematic Review, 2015. Details: This is a systematic review and meta-analysis of randomized controlled trials, performed by the Cochrane collaboration – an independent organization of scientists. It is probably the best review you can find on this at the moment, and includes 15 randomized controlled trials with over 59,000 participants. Each of these studies had a control group, reduced saturated fat or replaced it with other types of fat, lasted for at least 24 months and looked at hard endpoints, such as heart attacks or death. Results: The study found no statistically significant effects of reducing saturated fat, in regard to heart attacks, strokes or all-cause deaths. Although reducing saturated fat had no effects, replacing some of it with polyunsaturated fat led to a 27% lower risk of cardiovascular events (but not death, heart attacks or strokes). Conclusion: People who reduced their saturated fat intake were just as likely to die, or get heart attacks or strokes, compared to those who ate more saturated fat. However, partially replacing saturated fat with polyunsaturated fat may reduce the risk of cardiovascular events (but not death, heart attacks or strokes). These results are similar to a previous Cochrane review, done in 2011 (2). 2. De Souza RJ, et al. Intake of saturated and trans unsaturated fatty acids and risk of all cause mortality, cardiovascular disease, and type 2 diabetes: systematic review and meta-analysis of observational studies. BMJ, 2015. Details: This systematic review and meta-analysis reviewed observational studies on the association of saturated fat and heart disease, stroke, type 2 diabetes and death from cardiovascular disease. The data included 73 studies, with 90,500–339,000 participants for each endpoint. Results: Saturated fat intake was not linked with heart disease, stroke, type 2 diabetes or dying of any cause. Conclusion: People who consumed more saturated fat were not more likely to experience heart disease, stroke, type 2 diabetes or death from any cause, compared to those who ate less saturated fat. However, the results from the individual studies were very diverse, so it is hard to draw an exact conclusion from them. The researchers rated the certainty of the association as “low,” emphasizing the need for more high-quality studies on the subject. 3. Siri-Tarino PW, et al. Meta-analysis of prospective cohort studies evaluating the association of saturated fat with cardiovascular disease. American Journal of Clinical Nutrition, 2010. Details: This meta-analysis reviewed evidence from observational studies on the link between dietary saturated fat and risk of heart disease and stroke. The studies included a total of 347,747 participants, who were followed for 5–23 years. Results: During follow up, about 3% of participants (11,006 people) developed heart disease or stroke. Saturated fat intake was not linked with an increased risk of cardiovascular disease, heart attacks or strokes, even among those with the highest intake. Conclusion: This study did not find any association between saturated fat intake and cardiovascular disease. 4. Chowdhury R, et al. Association of dietary, circulating, and supplement fatty acids with coronary risk: a systematic review and meta-analysis. Annals of Internal Medicine Journal, 2014. Details: This study reviewed cohort studies and randomized controlled trials on the link between fatty acids and the risk of heart disease or sudden cardiac death. The study included 49 observational studies with more than 550,000 participants, as well as 27 randomized controlled trials with more than 100,000 participants. Results: The study did not find any link between saturated fat consumption and the risk of heart disease or death. Conclusion: People with higher saturated fat intake were not at an increased risk of heart disease or sudden death. Furthermore, the researchers did not find any benefit to consuming polyunsaturated fats instead of saturated fats. Long-chain omega-3 fatty acids were an exception, as they had protective effects. 5. Schwab U, et al. Effect of the amount and type of dietary fat on risk factors for cardiovascular diseases, and risk of developing type 2 diabetes, cardiovascular diseases, and cancer: a systematic review. Food and Nutrition Research, 2014. Details: This systematic review assessed the effects of amount and type of dietary fat on body weight and risk of type 2 diabetes, cardiovascular disease and cancer. Participants included both people who were healthy and those with risk factors. This review included 607 studies; randomized controlled trials, prospective cohort studies and nested case-control studies. Results: Consuming saturated fat was not linked with an increased risk of heart disease or an increased risk of type 2 diabetes. The researchers found that partially replacing saturated fat with polyunsaturated or monounsaturated fat may lower LDL cholesterol concentrations and decrease the risk of cardiovascular disease, especially in men. However, substituting refined carbs for saturated fat may increase the risk of cardiovascular disease. Conclusion: Eating saturated fat does not increase the risk of heart disease or type 2 diabetes. However, partially replacing saturated fat with polyunsaturated fat may help reduce the risk of heart disease, especially in men. Reducing saturated fat has no effect on the risk of heart disease or death. Replacing saturated fat with refined carbs seems to increase the risk of heart disease. Replacing saturated fat with polyunsaturated fat may reduce the risk of cardiovascular events, but results for heart attacks, strokes and death are mixed. Time to Retire The Myth? People with certain medical conditions or cholesterol problems may need to watch their saturated fat intake. However, the studies are pretty clear that, for the average individual, saturated fat has no significant association with heart disease. That being said, there may be a small benefit to replacing saturated fat with unsaturated fat. This does not mean that saturated fat is “bad” – just that it is neutral, while some unsaturated fats are particularly healthy. By replacing something that is neutral with something that is very healthy, then you will get a net health benefit. Healthy sources of unsaturated fats include nuts, seeds, fatty fish, extra virgin olive oil and avocados. At the end of the day, there doesn’t seem to be any reason for the general population to worry about saturated fat. There are other issues that are much more worthy of your attention, like avoiding sugary soda and junk food, eating healthy food and exercising.